Brendan O’Brien is co-founder and chief innovation officer of Aria Systems, a firm specializing in cloud billing technologies. 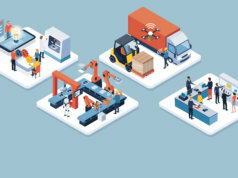 Aria champions what it likes to call the ‘recurring revenue revolution’ and has a special interest in how enterprises can monetize the Internet of Things (IoT). Internet of Business quizzed O’Brien on the wealth of the IoT to come. Aria Systems’ O’Brien argues that devices may be the IoT’s ‘shiny objects’, but that the real money will flow to those companies that enable enterprises to actually make sense (and then make dollars) from all the data that devices generate. It’s all about being able to use software-based intelligence to consume IoT data and then being able to measure and monetize that data in any way an enterprise chooses. So what does it take to make the so-called ‘monetization of things’ (MoT) actually happen? “We’ve been pretty relentless in our efforts to inform the players (and would-be players) in the IoT of a single critical realization point: to make money in the IoT, don’t look to the margin earned from selling your device… turn instead to the potential for paid and perpetual recurring services that are unlocked by your device as the surer bet for long-term monetization success,” says O’Brien. In other words, succeeding in IoT takes more than a good ‘Thing’. The case in point here, suggests O’Brien is wearable camera maker GoPro. Once a darling of Wall Street, its total dependence on new device sales as its sole revenue stream has (arguably, for many) served to disappoint in recent quarters. So why is ‘monetization personalization’ so important? O’Brien suggests that online streaming TV pioneer Netflix has got it right. “Netflix has made a science of personalization, due in part to its reliance on intricate M2M processing. For example, each day, it tracks millions of viewing streams from its millions of customers. From this data, it not only offers customer-specific viewing recommendations based on predictive analytics, but it can also show individual subscribers exactly what they’ve already watched and even where they paused a particular show, irrespective of what device they use when they return to viewing. Personalized experiences like these are a key reason behind the company’s huge success,” says O’Brien. The IoT is a natural fit for this model, says O’Brien. This is because most IoT products and services leave a digital trail that reveals details about the way customers use and interact with them. Aria Systems works to process this consumption data and give firms a view into customer behavior, preferences and usage patterns to offer timed offers and incentives. So how might this new-age personalized monetization billing play out in the realm of connected cars, for example? “For the industry to fully capitalize on connected car services, they are going to have to do more than monetize in-car connected services. What is thought of as ‘loyalty’ now – building and selling a car and hope that it’s good enough that the customer will probably buy another one from you in say five to seven – has to evolve into building strong and lasting brand affinity,” asserts O’Brien. Calling for a new approach to building the point-of-sale brand relationship, O’Brien says that this has to be constantly nurtured to develop a permanence. Achieving this all-important brand affinity is going to be relatively easy for makers of luxury vehicles and work vehicles, where such affinity tends to already exist, but is going to be much harder for low-to-mid-market makers of passenger vehicles where they risk being commoditized. “In these cases, the consumer’s affinity and relationship are far more likely to reside with the provider of the service that puts them behind the wheel (think Zipcar, Enterprise CarShare, even Uber and Lyft) rather than the manufacturer of the vehicle itself,” explains O’Brien. To fully anodize this model of personalized monetization will require a new effort at the base architectural layer of the management software that we rely upon to control the lifeblood of data inside the IoT. It is, therefore, once again the responsibility of the developers and machine data engineers who will bring this all to bear. 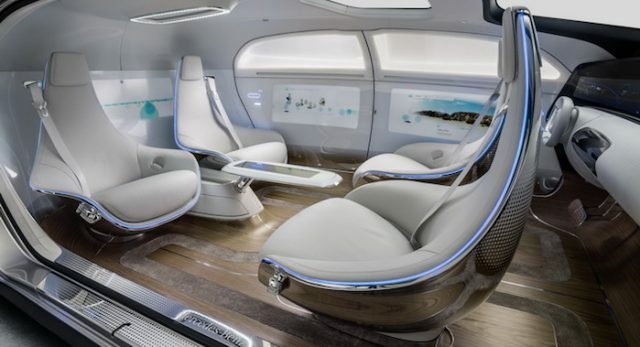 Surely that deserves a free test-drive in one of these fancy new connected cars, doesn’t it? Ah no, there’s no such thing as a free lunch and no such thing as a unmonetized IoT device.